Have You Considered Radiant Heating? If not, and you are ready to install a new heating system in a new home or to replace an existing heater, stop what you’re doing! Okay, that may be a little overly dramatic, but you really should not move forward with your project until you’ve given the option of radiant heating some attention. Radiant heating in Clovis, CA may not be quite as common as forced air heating, but the fact is that these systems have a lot to offer. Today, we’re going to help you to better understand how it is that a radiant heater actually heats a home, as well as what the benefits of heating your home in this manner are. Upon review, you may just realize that a radiant heater is what you’ve been looking for all this time. 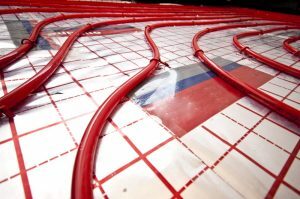 While radiant heating is not right for every home and every homeowner—if it were, there wouldn’t be so many options to choose from—many homeowners swear by it. Posted in Heating | Comments Off on Have You Considered Radiant Heating? When homeowners ask us how they can go about getting the most from their home heating systems, we always have one answer for them. That answer? Scheduling routine heating maintenance in Kingsburg, CA. Simply put, there is no better way in which to go about getting the very best performance that your home heating system has to offer. Today, we’ll talk a bit more about just what heating maintenance entails, and how it can pay off in the long run. If you have any questions, feel free to reach out to a member of our team. We’re always here to help, and we’re more than happy to handle your heating maintenance services for you. Do You Need Heating Repairs? Many people seem to think that California is a warm, sunny place to be throughout the entire year. This could not be further from the truth, though. Just step outside once the sun’s gone down tonight, and you’ll see that California actually has plenty of cold weather to throw our way. With that in mind, it should go without saying that you need a great heater installed in your home if you hope to make it through the coldest time of the year comfortably. Now, we have to remind you that even the best heaters out there, even when properly installed and routinely maintained, are still going to require professional heating repairs at some point. 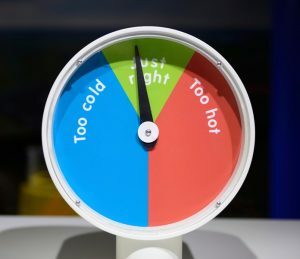 There is simply no such as a 100% reliable heating system—or mechanical system in general, for that matter. If and when you do run into the need for heating repairs, remember that scheduling them as soon as possible is always going to be in your best interest. That also means that you need to know how to spot them, though. Posted in Heating | Comments Off on Do You Need Heating Repairs?